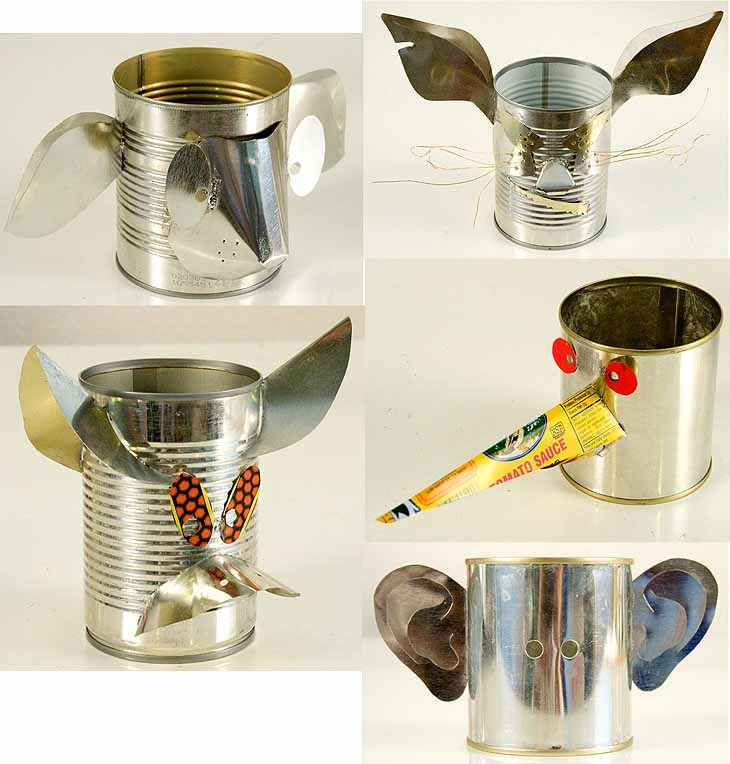 The idea behind this project is to transform an unassuming tin can into an assuming canimal. I’m going to show you how to put a face on a can. That’s all — nothing crazy…or is it?! The outcome is entirely up to you, and I’ve provided an assortment of facial features that can be mixed, matched, and altered, if you’re so inclined. This project is a little different from most of my others, in that you’ll have to do some creative cutting and shaping of the individual features to fit them to the particular can you’ve chosen. Note: You may not need all of the tools listed below. Some of the following tools are optional, depending on what you decide to do with your features!